FEATURING THE IRON FIST OF 1,000,000 BC! ANDREA SORRENTINO JOINS SERIES WRITER JASON AARON another flashback tale of the Prehistoric Earth's Mightiest Heroes. 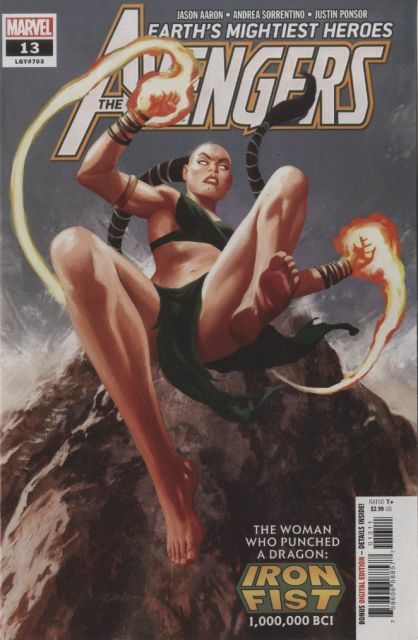 Meet the primordial woman who was the first to harness the power of the heart of the dragon Shou-Lao, becoming the very first Iron Fist.